Think of Goldfinger and the first image that comes to mind is Shirley Eaton--covered in gold paint. If the stunning, talented British actress had appeared in no other films, she would still be famous today. However, prior to her appearance in Goldfinger, Ms. Eaton had established an impressive acting career. In the 1950s, she appeared in two of the Doctor films with Dirk Bogarde and James Robertson Justice. She was the female lead in Carry On, Sergeant, the first of the long-running comedy series, and appeared in two sequels. In the 1960s, she starred in musicals (Life Is a Circus), adventure films (Rhino! 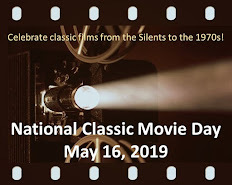 ), comedies (Eight on the Lam with Bob Hope), and mysteries (Ten Little Indians, my favorite version of Agatha Christie's novel). 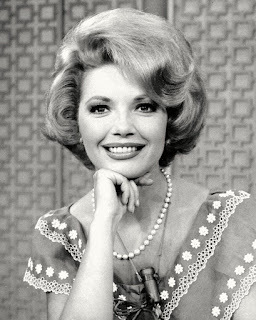 She retired from acting in 1969 to raise her family. 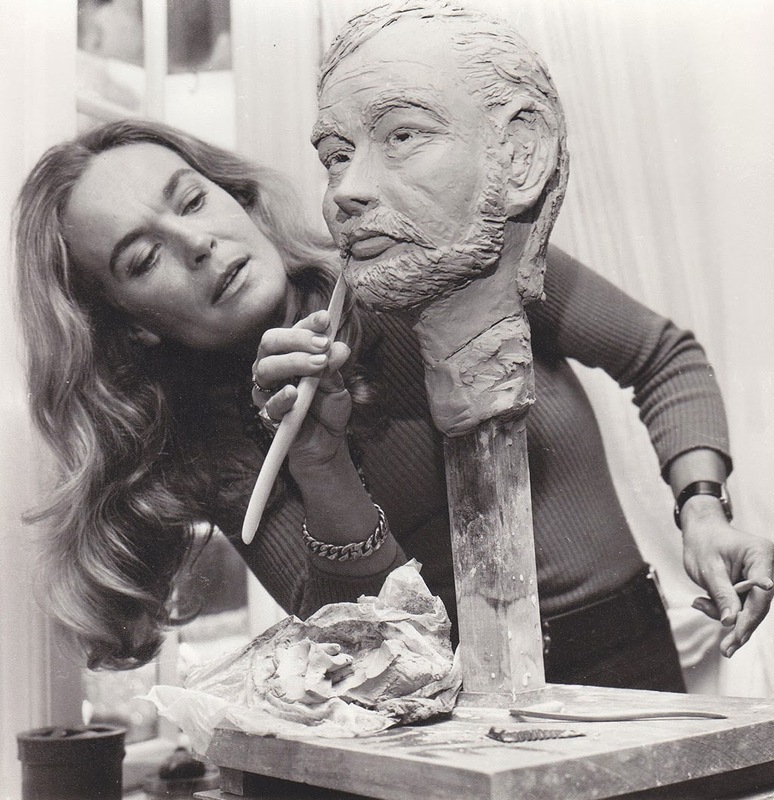 That hasn't kept Ms. Eaton from becoming a sculptor and photographer, penning an autobiography (1999's Golden Girl), publishing a book on poetry, and appearing at film conventions. Café: How did you come to be cast as Jill Masterson in Goldfinger? 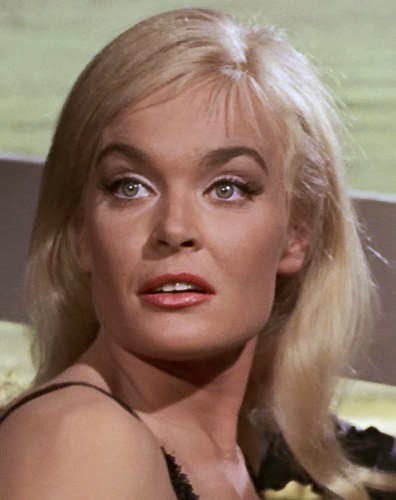 Shirley Eaton: I had made twenty-one films before Goldfinger and the producers just called my agent to have an interview with me, asking me if I minded being naked and painted gold, to which I replied, with a smile: "Fine, if it is done tastefully." Café: You co-starred with Sean Connery in Goldfinger and with Roger Moore on The Saint TV series. How well did you get along with them? And, in your opinion, which was the better Bond? 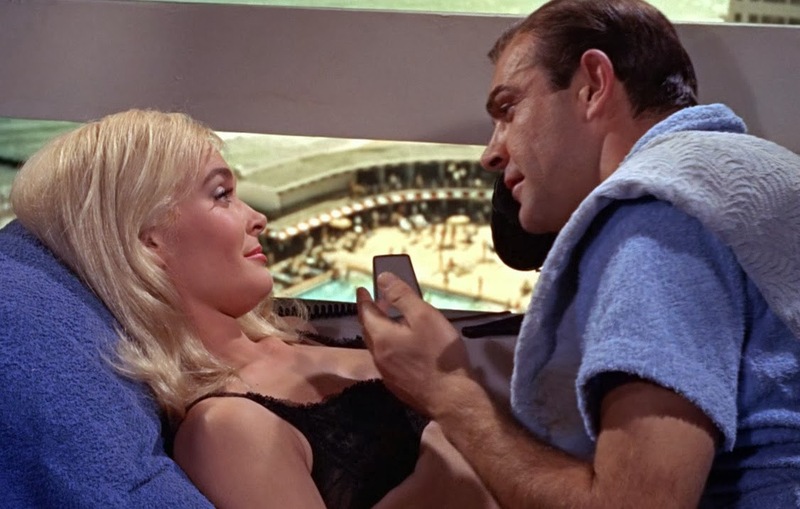 Shirley Eaton & Sean Connery in Goldfinger. SE: Sean was very easy to get on with. He will always be the favourite Bond with older and devoted Ian Fleming fans, so that includes me. Roger made his Bond so different, with more twinkle in his eyes and perhaps we could say a lighter touch than Sean, but millions of fans love him too as I do. He directed one of The Saint episodes I was in and was very understanding "being an actor" and he was a very good director.We have been close family friends ever since The Saint series. Café: What do you think of the latest James Bond films with Daniel Craig? SE: Daniel Craig is a very good actor and the recent Bond films are great action movies. Inevitably, as time has moved on and fast editing seems a must in most films now, something is lost in essence from the early Bond movies in my opinion. With Mickey Spillane in The Girl Hunters. Café: You starred in The Girl Hunters with Mickey Spillane, who played tough private eye Mike Hammer--his own literary creation--and wrote the screenplay. What was it like acting opposite the film's screenwriter? SE: I loved working with Mickey Spillane even though he was a better writer than actor. He was a fascinating man, down to earth one minute then away with his imagination the next. His life outside writing was full of adventure and especially courage in the last World War, a man of many talents, he and I made a good combination in the film and he was no mean actor after all!!! Café: You appeared in multiple Carry On and Doctor films. Both of these film series were huge favorites with British movie-goers for decades. What was the secret to their enduring popularity? SE: Their post card humour, which the English love--not to mention an army of talented actors! 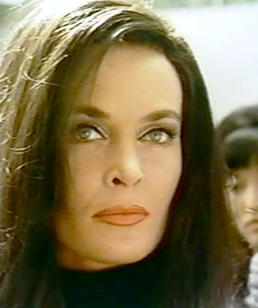 Café: You made a great (dark-haired) villain in The Million Eyes of Su-Muru and its sequel Rio 70 (aka The Girl from Rio) produced by Harry Alan Towers. Was there any discussion of continuing that film series, as Towers did with the five Christopher Lee Fu Manchu films? Café: After you retired from acting in 1969 to raise your family, were there any roles that tempted you to return to the screen? If so, what were they? SE: Absolutely not. I was enjoying life to the fullest just being Shirley Mother and a wife. Café: How did you become interested in photography and sculpture? And what can you tell us about your upcoming art/autobiography book Under My Skin? SE: I went to art school in London for over two years pretty soon after I stopped acting and took painting and sculpture classes. I have always been an extremely creative person and I like artistic challenges, hence you will see in my new book. It is an up-to-date autobiography mostly in a picture form: the first part covering my career and life then and now, with another section on my art then and now, too. "Sophisticated Me" (courtesy of Shirley Eaton). 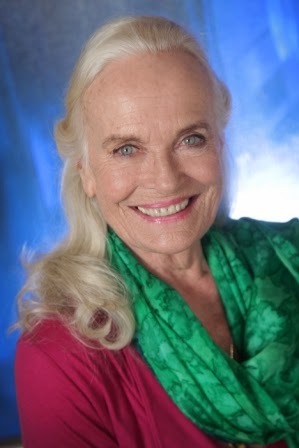 You can learn more about Shirley Eaton by visiting her web site www.shirleyeaton.net. I watched "Goldfinger" last week and look who I run into at the Cafe! A great pleasure to hear of Shirley's projects and life today. Thanks. Huge fan here! I always wished she had been in more of "Goldfinger." I didn't know there was a sequel to the Sumuru film. What a great interview! I loved her in Goldfinger. I loved reading this, and particularly hearing about the upcoming book she has coming out. I will definitely look for that! What a remarkable interview! I truly enjoyed learning more about Miss Eaton. I admire her choice to put her family before film. I enjoyed her response about the frenetic editing of some recent films, including the new Bond movies. It was also interesting to see "Sophisticated Me", a lovely example of her photography. Thank you so much for sharing time with us at the Cafe! You get a lot of great interviews, don't you, Rick. Her sculpturing skills look impressive. I'm glad she found a creative outlet after she decided to retire from the business. A great interview with a classy, beautiful lady, Rick! The 1966 version of TEN LITTLE INDIANS is my favorite adaptation of that story as well. She was a true stunner, and glad to see that she prospered away from the acting life. Fascinating. 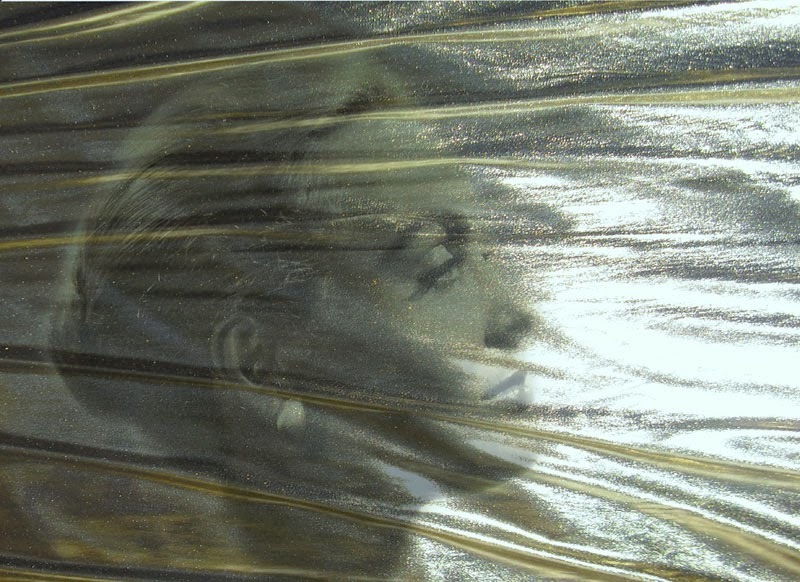 Just last week I came upon a pictorial piece online about the painting of Miss Eaton for "Goldfinger." Quite a process! I am also a fan of the version of "10 Little Indians" in which she appears. She's had a most interesting life and I'm awfully glad you caught up with her, Rick. Wonderful interview.